These are common open source combinations that can provide many of the same features as Windows based hosting. Many people think that they need Windows hosting because the computer they use operates on Windows. The web server operating system is independent of the users local computer OS. Linux hosting actually accounts for about 80% of the shared web hosting landscape. 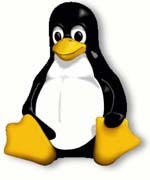 Linux is used as a low cost alternative to Windows hosting.